A trial attorney with significant courtroom experience, Brent Walker is a trusted advocate for plaintiffs involved in civil litigation and appellate matters. That trial experience and his devotion to protecting his clients’ best interests have resulted in record-setting verdicts and settlements in cases involving medical malpractice to wrongful deaths, as well as commercial cases involving breach of contract or fiduciary duty claims. Brent and partner Charla Aldous earned induction into Texas Lawyer newspaper’s Texas Verdicts Hall of Fame for winning a $9.3 million verdict in John Doe, et al v. The Episcopal School of Dallas Inc. on behalf of the family of a teenage girl who was wrongly expelled from the school after administrators discovered that a teacher had involved the underage student in a sexual relationship. The verdict was the second-largest negligence verdict in Texas in 2011. The experience of representing individuals and businesses as both plaintiffs and defendants gives Brent a unique perspective and helps him better serve clients. At the same time, his extensive appellate experience allows him to work on cases before and during trial with an eye toward possible issues in the event of an appeal. 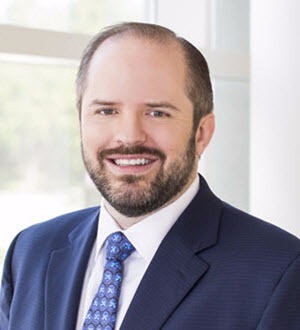 Before joining Charla and forming Aldous\Walker—then Aldous Law Firm—Brent worked at one of Dallas’ leading health care law firms, as well as one of the nation’s leading personal injury firms. Over the years, he's gained significant experience in personal injury cases involving catastrophic injuries and wrongful death, as well as commercial litigation claims involving breach of contract and misappropriation of trade secrets.